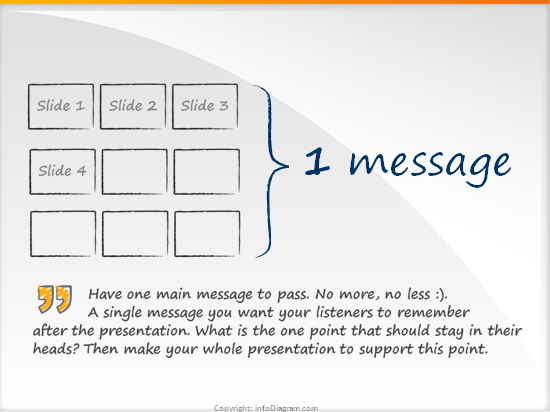 Have you ever been to a conference, where you felt lost in the presentation? I experienced many such situations. The worst was IT conferences – speakers there usually present some new cool application. Most of the speech a speaker talks about all the magic features their software offers. However often I missed one thing – what the hell was their application good for? 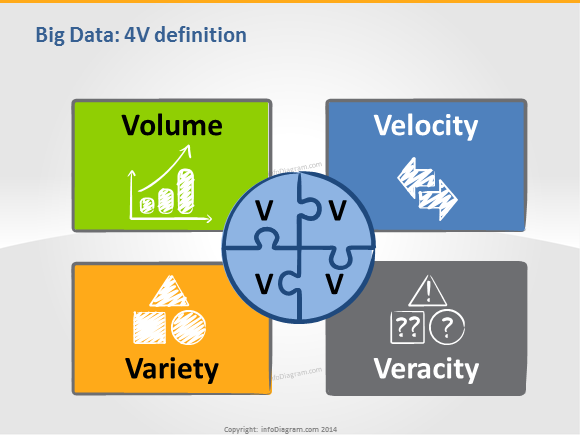 Recently I was designing slides on the topic of Big Data Concepts (it’s my other area of interest, after visualizations). A few weeks ago I was designing slides for an interesting motivational speech, where I had to illustrate the business model. 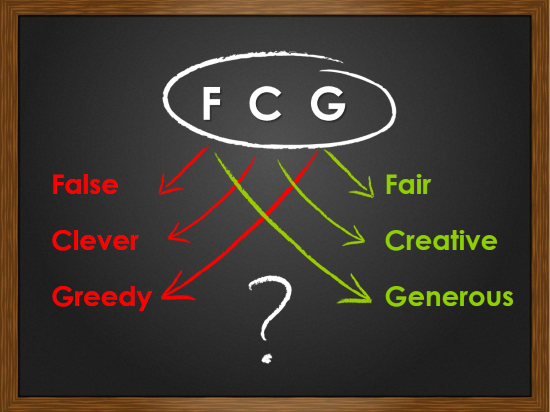 This is a visualization from our slide design training where I was illustrating “1 = A+B+C” Rule from Nine Presentation Hints (by Prezentio.com). Here I will tell you about 1 message rule. Why using diagram visualization is better than a plain text? Firstly, let’s identify what a diagram is. 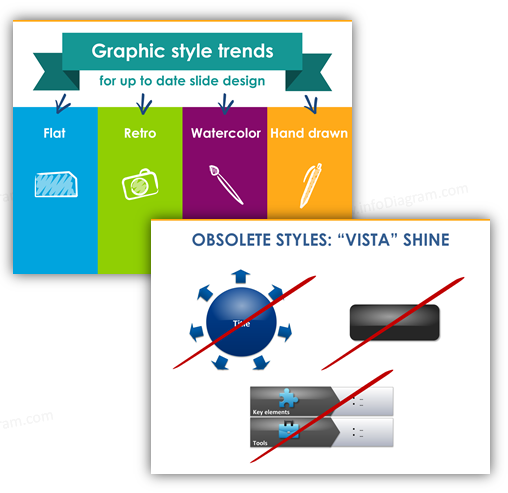 Diagram – it’s a simple image than can be used as a graph visualization or an eye catcher. It allows us to present work process or charts without any effort. 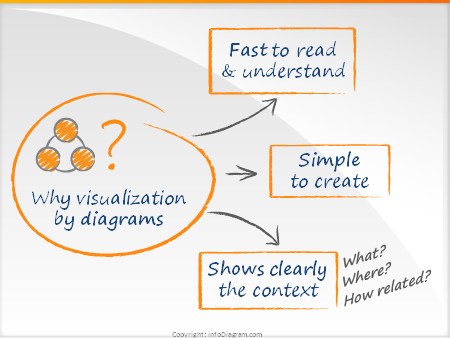 Continue reading Why visualization by diagrams? 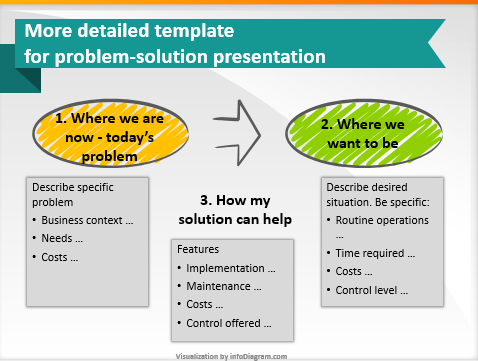 Posted on March 30, 2011 July 11, 2018 Author infodiagramCategories how-to, presentationsLeave a comment on Why visualization by diagrams?